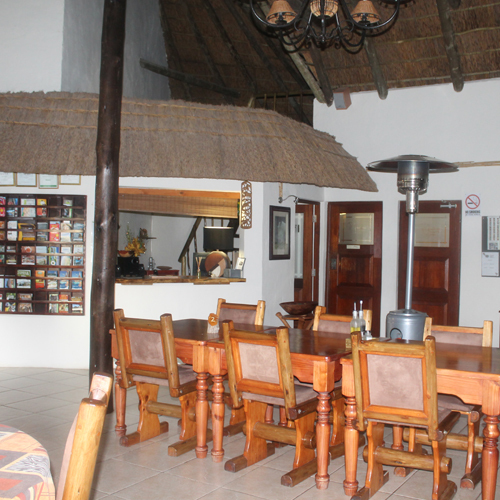 The lodge is easily accessible and is situated only at 1 km off the N2. 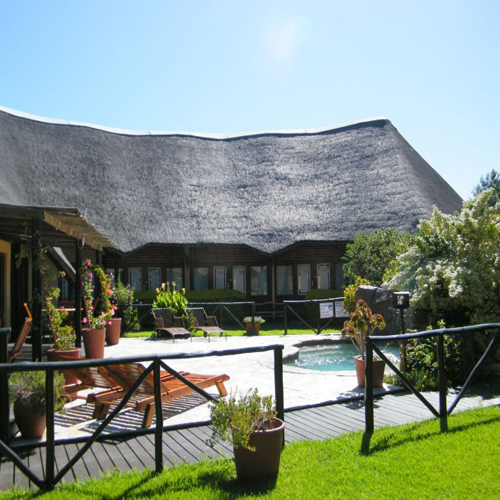 With us you are not far from civilization while being only 2km from the southern gate of Addo Elephant Park, the third largest wild life reservation in South Africa. 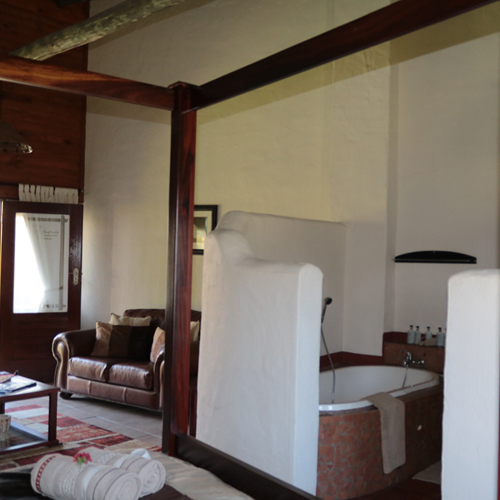 All our rooms are semi En-suite offering 3 areas: A large lounge, the bedroom , a separate bath room with a large bath with private toilets and open-air ‘rock-face’ showers. 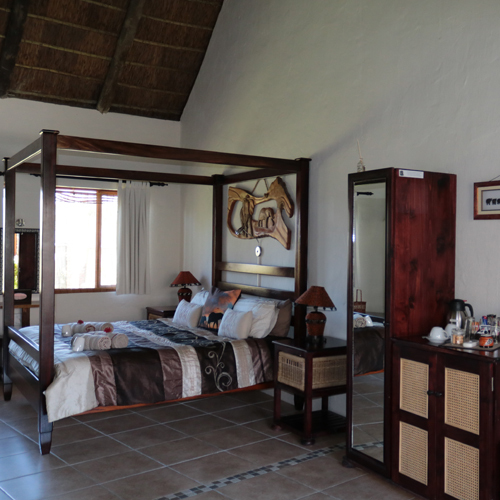 All the rooms are well furnished with luxurious fittings and high quality linen. The rooms include tea and coffee facilities – TV – Fridge. Amenities in the bath room and in the rooms are here to make your journey as comfortable as possible for your appreciation. 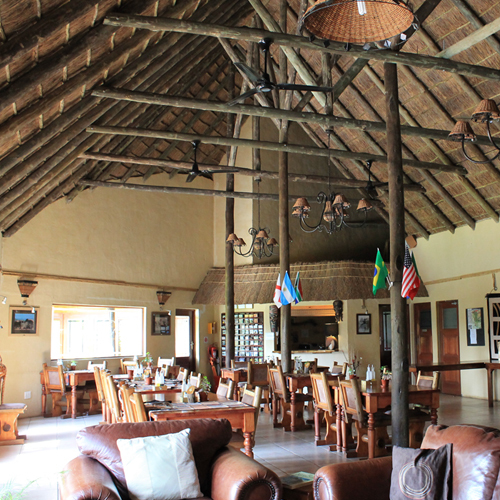 Our lounge is situated in the middle of the lodge, a central large and comfortable area, where you can enjoy having a drink at our bar, reading close to our fire place, chatting with your friends or watching TV. Our breakfast is a full English/continental breakfast, either à la carte or buffet. Breakfast is included into your room price. Our restaurant offers Dinner is on request. 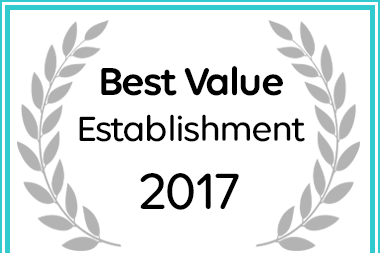 We offer fresh food, an à la carte menu, a traditional South African braai, or buffet, depending of the circumstances and food available at market. 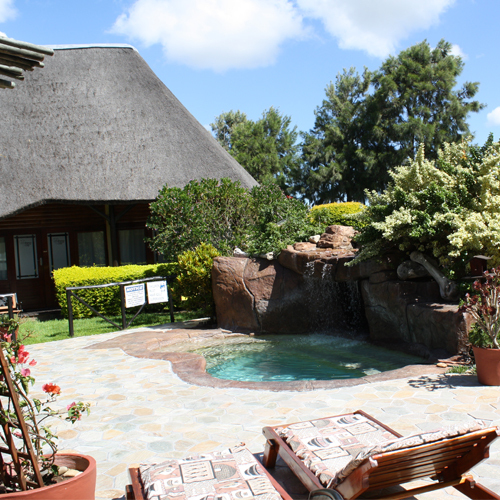 Picnic baskets or braai baskets are available on request on your arrival at the lodge, to offer you a lunch break into the park in the middle of the wild life. Activities including: Safari, River cruise, Sea and Dune excursions and others are available in addition to corporate packages and conference facilities. Feel free to go into our page of activities to have a look at the large range of activities our surroundings can offer you while you stay with us. Try one of the many to make your journey unforgettable, and don’t hesitate to ask us to book an activities for you. Use the Contact Us page to do so.